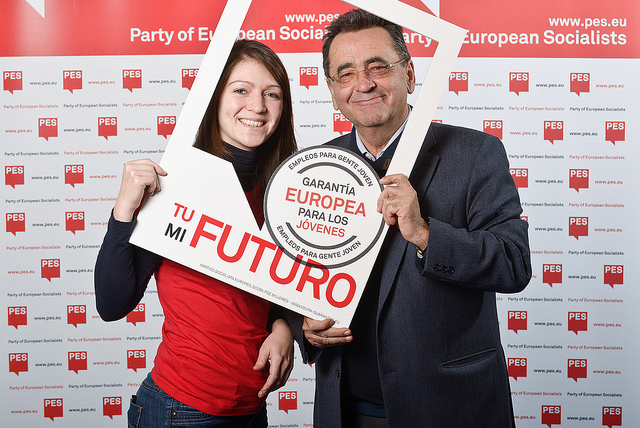 Youth Guarantee will offer a chance to millions of young people - Your future is my future - a European Youth Guarantee now! "I am very pleased about the adoption of the youth guarantee. This is a very positive step which the Socialists and Democrats have been campaigning on for over a year. The youth guarantee will offer a fresh start for millions of young people." "This is a great victory for a fairer Europe, as well as for our social-democrat family, as it follows the path we started out on a year and a half ago. "There is no doubt that this is a step further, but we can't stop here because we face a structural problem. The next step should be to extend the guarantee to all young EU citizens and legal residents up to the age of 25 years, and recent graduates under 30 as requested by the European Parliament. "We will closely follow the implementation in all member states, as the recommendation still needs to be transformed into action to change the lives of millions of young Europeans." "I'm very pleased that we now have this first tool focused on young people. This is a first step to respond to youth unemployment, which affects 23.4% – almost a quarter – of young people. This is also a key social element of the strategy to exit the crisis. "The European Parliament will fight to ensure that the European Social Fund can finance this guarantee, without taking money from other programmes which promote solidarity in Europe. We want to ensure that 25% of the cohesion policy funding will be earmarked for the European Social Fund."